Explore the colonial architecture in the UNESCO city of Malacca. Back when Kuala Lumpur was a malaria-ridden swamp, Melaka was similar to what Singapore is now. Over time it changed from a thriving port into a sleepy backwater city, and that make the place charming. Arrive into Kuala Lumpur International Airport, you will transfer by road to Malacca with 02 hours journey. Upon arrival, check-into hotel for a short rest. After your refreshment you will depart for a Malacca Tour to learn of the history of Malaysia in Malacca - the “Historical City” - with a legacy dating back 600 years from the Malay Sultanates to Portuguese, Dutch and English influences. Firstly we will experience one of Malacca’s signature lunch is Chicken Rice Balls, which is nothing but Hainan Chicken Rice served using rice shaped like a ping pong sized ball. We will continue our journey by visiting Porta de Santiago cir. 1512, Ruins of St. Paul’s Church cir.1571, Dutch Square – with guided sightseeing to the Stadhuys, Christ Church, Clock Tower, the Queen Victoria Fountain and the Cheng Hoon Teng Temple - the oldest functioning Chinese temple in Malaysia. Drive pass St. Peter’s Church, along rows of quaint pre-war shop houses and over the historic Malacca River and Bukit Cina or “Chinese Hill”, where huge ornate graves date back to the Ming Dynasty. We will arrange a short trishaw ride for you too! At the Dutch Square, we will stopover for a popular local dessert, Clock Tower Cendol. (Cendol is made of homemade jade-green cendol that is absolutely creamy, with aromatic palm sugar syrup) At the end of the tour, you will take a stroll on Jonker Street - famous for its amazing variety of antique stores. After all the long walks we will find Harper’s Restaurant a wonderful place to relax a tea or a beer, and cool off! Then we are ready to head off to our hotel. The way to enjoy this dish is to dip skewered raw meat or vegetables into a communal pot of thick, boiling satay sauce. After breakfast, you will relax a bit to walk around this historical city. We will check-out hotel at noon time and heading to north for 02 hours ride to Kuala Lumpur. Kuala Lumpur, the capital city of Malaysia and is an exciting, buzzing city that began life in the mid-1900 as a trading post for Chinese tin miners. The modern skyscrapers rub shoulders with traditional culture and colonial architecture. This evening, we will visit to KL’s Chinatown. You could find stalls selling leather goods, electronic items, watches, foodstuffs, fruits, household items, gemstones and clothing. We will stop at Sri Mahamariamman Temple located near to Chinatown. Shoes must be removed before entering the temple. This Hindu temple is a colorful and ornate building full of decorative features and intricate carvings of Hindu deities. You will pick-up your skill of using chopstick during our special prepared Chinese set dinner. Kuala Lumpur is best seen by foot, you will walk the streets and witness the sights, sound and smell to venture further into the abstract image of the old and new part of this city. We will start our walk though Little India, past the Jewelry and Saree Shops at Briekfields. En route we will make a stop for “Teh Tarikh” at a local coffee shop. ”The Tarikh” or “Pulled Tea” is a drink made from tea leaves and milk. It is blended by “pull” and “throwing” the tea from one cup to the other, giving the tea a creamy and foamy texture. 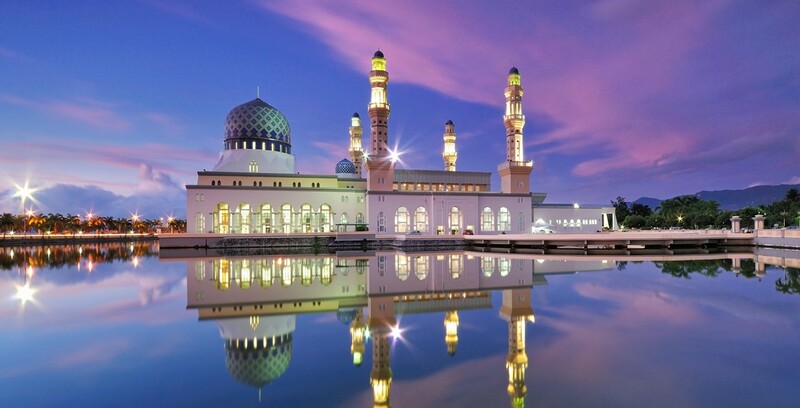 Next we will explore an underground train ride from KL Sentral LRT Station to Masjid Jamek LRT Station to visit the beautiful Masjid Jamek mosque. Then walk to Merdeka Square with Tudor style Royal Selangor Club in the background. Finally, visit a batik outlet to watch demonstrations of how various types of batik prints are produced. After walking the whole morning in Kuala Lumpur, we will bring you to a 30 minutes foot reflexology this evening. Then we will move on to discover the fabulous street fare at hawker stalls along Jalan Alor. Both sides of Jalan Alor are lined by endless rows of “mamak” stalls and outdoor restaurants, interspersed with hawker stands selling fruits, barbequed meats and roasted ducks. It is quite an overwhelming experience for the first timers, who may have some difficulty on deciding where to eat. Upon arrival at Cameron Highlands, check in at the hotel. Rest of the afternoon/evening is free at your own leisure. In the evening, visit the township of Tanah Rata with its colorful local fares. Explore Cameron Highlands at night and enjoy a Chinese steam boat dinner at local restaurant. Gunung Brinchang at 6,666 feet, above sea level is the highest peak in Cameron Highlands. Translated into English, the Malay word “Gunung” means mountain and “Brinchang” means strong winds. With the temperature sometimes recording less than 15 degrees centigrade during the night, this mountain is a home to numerous species of mosses, pitchers plants, wild orchids and flowers. It is also a showpiece of what mossy forest is all about. The ride to the top and the view from the lookout point will allow you to enjoy and appreciate the panoramic view of our mountain forests. After short walk to the mossy forest, we will take you through carpets of manicured bushes where some of the best black tea is produced. Then a guided tour to the processing factory, refreshments will be served at the Boh tea House. Before return to hotel we will visit the hillside market to learn of the many types of fruits, vegetables and flowers available on this highland. This evening, you will enjoy a fine western dining at The Lakehouse. Leaving Cameron Highlands behind, you travel into Perak State, famous for its tin mines, cave temples and royal palaces. Near Ipoh, you will visit the Kek Lok Toong Cave Temple, famous Cave Temple to learn about the Buddhist, Taoist and Confucianism believes. We will make a stop at Ipoh Town for lunch at the local famous coffee shop – Kong Heng Coffee Shop. All the locals will definitely visit to this coffee shop to taste the local dishes. Sometimes you will need to wait for 30minutes in order to get a seat! Once firmly ensconced in your plastic stool, order your Ipoh White Coffee and let your eye wonder over the stalls, serving a variety of food including asam laksa (tamarind fish soup noodles), popiah (spring rolls) and the famous Ipoh Hor Fun (silky flat rice noodles in a clear broth with shredded chicken and juicy prawns to garnish). We will continue our journey to Bukit Merah Orang Utan Island. Upon arrival you will take a lake cruises to ferry you to the Orang Utan Island via a 10-minute boat ride. Once on the island, your orang utan journey will begin on a 100-meter steel cage tunnel, which will lead you to their lush home. Here, you will get an up-close and personal look at how they live and interact with their surroundings and each other. It's then time to cross the impressive 13.5km-long bridge to the island of Penang, the “Pearl of the Orient” for a two nights stay . Enjoy a heritage walk to savour the unique wonders of the old Georgetown, UNESCO Heritage Site. First visit proceed to the Khoo Kongsi – a building featuring a magnificent hall embellished with intricate carvings and wood work. Proceed walk to Goddess of Mercy Temple and past flower shops. We will stop at the Fortune Teller stall for you to ask for advice on your future destiny. The fortune tellers will read the cards, fortune sticks, other tools, palms of the hand and use Chinese astrology to predict the future. We will continue to walk to Little India – Spice Market and experience the hustle and bustle of Georgetown’s spice trade like wholesale and retail traders dealing in age old spice like cinnamon, cloves, nutmeg & etc. Board on vehicle and visit to the Chew Jetty - the fishing village where houses are built on stilts over clan in mid 19th Century, who came from Southern China. Continue to see the ruins of Fort Cornwallis, the Temple of the Reclining Buddha and the Burmese temple. We will end up for a lunch at typical local restaurant!